How many times have you heard people exclaiming about delivering a project successfully before deadline? How many times have you seen a company being really appreciated in the form of video testimonial, or in any other form be it in mail, person, or anything given by a client whole heartedly without asking him or her to do the same; the way these days competitive marketing asks for? Delivering a project timely and heartily appreciations these days are nothing but prevalent false norms. 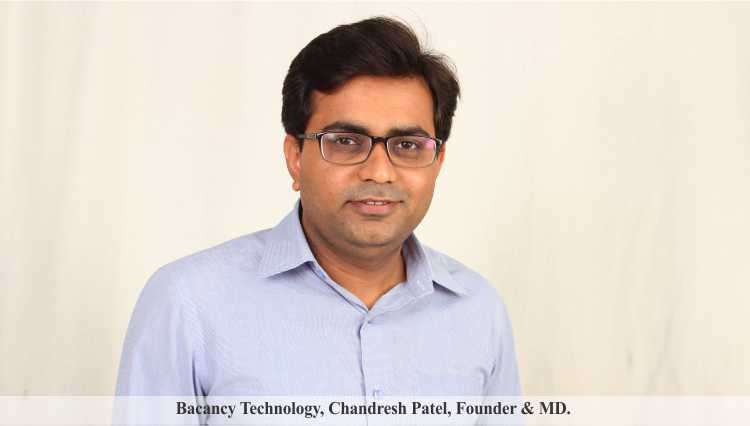 “On confronting and accepting the profound value of above interrogations and to turn these false norms into reality (at least for my company), came into existence my acceptance of Agile Methodology” says Mr. Chandresh Patel, Founder & MD , Bacancy Technology Pvt Ltd, a web & mobile application development company delivering valuable products globally. Moving forward on the ideology of Agile, he adds that when we make the shift towards agile development, we find that there is a big difference in the way we approach the programming portion of the work. All of a sudden we will realize that we no longer spend much of our time doing the BDUF (Big Design Up Front) we used to. Work gets compartmentalized into iterations. We are constantly in a rush to show iterative results at the end of each iteration, what I also call a chunk, of the whole story. And for me doing this has always been much easier than my peers for I have personally applied the principles of Agile and Lean Development in teams both large and small, for in-house as well as commercial environments, in an organic setting as well as the ordained setting. I have educated dozens of teams, and made Agile principles come to life in many settings. I have played many of the roles in the development arena, such as the role of developer, analyst, team lead, architect, and project manager. I have also trained, coached as well as worked with big giants like Microsoft, Siemens, iGate, Indiabulls and many more. And instead expressing proud, I gratefully add that I am running a successful organization named “Bacancy technology” to deliver decent software services, using Agile. As a team, our plan for future is to see our organization grow smoothly on the way becoming the leading Web and Mobile Application Development Company. Our dreams are not bound by geographic boundaries and hence we look forward to get our wings spread globally. We already have presence in Canada & USA. Ending the really nutritious discussion on his profound knowledge of Agile and Software Development, he adds “Like how many people you have met exclaiming their extreme passion being designing, but when asked about the ‘Rule of Thirds’, they start scratching their heads. How many people have you seen exclaiming that they are more than passionate about web designing and development, and when asked about the ‘Three Click Rule’, burn themselves up desiring to somehow reach Wikipedia by the grace of God or some miracle and read about this?